A selection of Remmers flooring systems have been installed at the new Food Distribution Centre for Pallas Foods (now part of Sysco) in North County Dublin. The new €45million (approx. 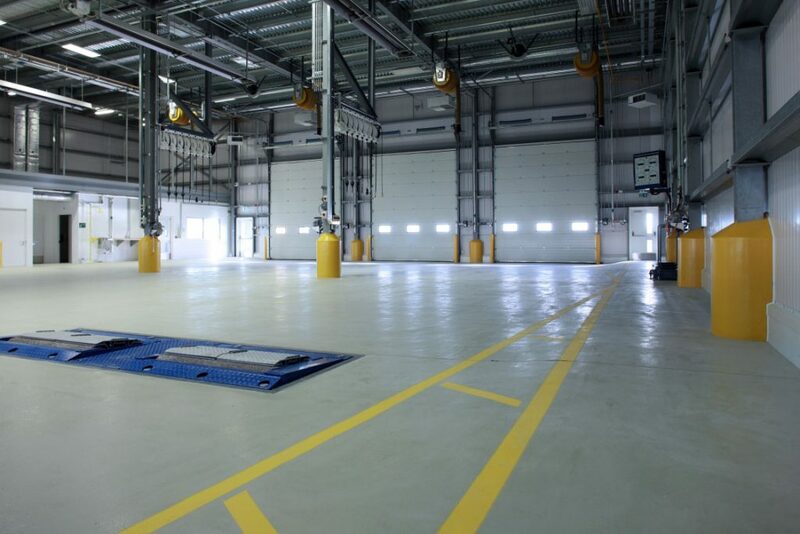 £35 million) facility includes two warehouse areas totalling 33,000m². It is dedicated to refrigerated storage areas as well as 2,500m² of high specification office space. 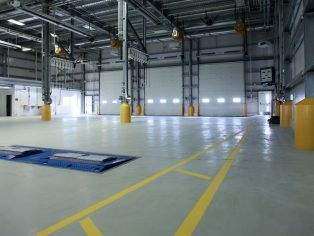 Over 3000m2 of Remmers flooring materials were used in the facility including Remmers Crete RT, a heavy duty polyurethane screed, to the refrigerated storage areas. Remmers Ceramix coloured quartz was applied to the canteen and wash room areas, and Remmers Floormix aggregate was incorporated as a binder to our Epoxy CR Color, a chemical resistant coating which was required for the vehicle maintenance and battery charge areas.